Recently, I read a book by Nia Vardalos called Instant Mom. She tells about her journey to becoming a mother. After years of unsuccessful fertility treatments, she went the route of adoption. And, even with adoption, there were several options. Eventually, she did the foster to adopt program in California and now has a daughter. Naturally, I consider myself an adoptive mother of Princess Piggy Poo, so I feel a kinship with my many friends who have adopted their children. They are sometimes insulted by my comparing my pet to their children, but I believe love is love. 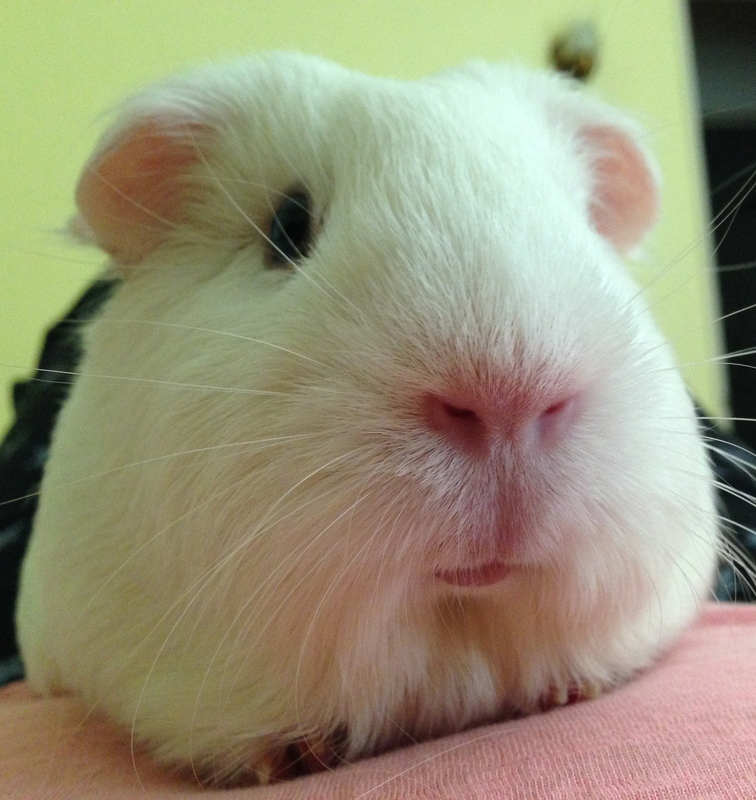 My commitment to a guinea pig may not be as all consuming as it is with a child, but Princess Piggy Poo is my baby. One of the interesting things I’ve noticed is that as an adoptive parent, you really can’t take credit or blame for some things. How your child looks, how smart he or she is, certain temperaments — these qualities are inherited. I would say this is an advantage. You can’t see yourself or your mother-in-law in your child, when you don’t share DNA. This is somewhat freeing. So while I nurture Princess Piggy Poo, her nature is to be just like she is. Like my friends who have adopted their children, Princess Piggy Poo and I accept our differences, delight in our similarities and have formed a nice little family. This entry was posted in Uncategorized and tagged adopted, adopting, adoption, cavy, guinea pig, instant mom, nia vardalos, pet, princess piggy poo. Bookmark the permalink.